after i changed into my own dev_id it works! echo $decoded; // Can I simply echo the decoded? When I try to see if it works, I go to the website URL directly (http://websitename.com/file.php) and then simulate an uplink in TTN console. It only displays the thrown error ‘Request method must be POST!’ or if I remove this, then nothing. What am I doing wrong? Should I have any other files in my website directory which has code relevant to file.php? Could it have something to do with my hosting, which is GoDaddy? Let me know if I can make it clearer in any way or try anything. Where do you expect the output to go to? The HTTP integration is a server-to-server interface; when TTN connects to your server, it’s not going to handle the response you’re sending using the line above. 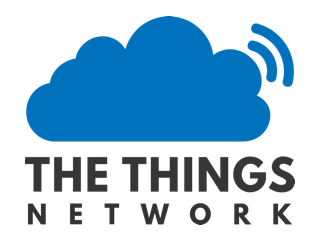 Rather than echo-ing the request back to TTN, you’ll need to store it somewhere. I go to the website URL directly (http://websitename.com/file.php) and then simulate an uplink in TTN console. It doesn’t make sense that you’re going to that URL: even when TTN also goes to that URL at exactly the very same time (unlikely), there’s nothing in your code to make you (the human) show whatever TTN sent to that URL. Each request is a standalone request; nothing is shared with others who happen to know the same URL. Thank you so much. I failed to mention that I am a complete novice to PHP and I was thinking in terms of C++ and getting it simply to display data it receives. I feel very silly right now. @rego21: you need a server accessible through the web at some address. If you have it at home on an ADSL line, in principle you could, but if you do not know already how to do it, it is too much effort, it is easier to just use some free PHP hosting. Ok i understand. Can you point me one free PHP hosting? Thank you for the help! I do not use a specific platform, having my own server. Just google for PHP free hosting, or maybe wait for some other user suggestion. If what you have to do is simple, you might also use some already available platform (check those in the Integrations tab). All php guru’s, are there perl supporters in the room? Apart from that, it should not be too difficult to adapt the small storage script to Perl, if you are a Perl programmer, and on the other side, if you are not, just use PHP. What param I have to use to get the whole JSON info? CGI parameters are those you can find appended to the URL, so in this case they are not needed/useful. Since your are not a Perl programmer, just create another PHP script that reads the log file and uses the contents, which are still JSON strings to be converted to PHP objects. I was just curious how it would look in PERL, specific how to get the JSON without a reference to a param. I thought a POST works always via params. my $GDate		  = substr($STimeStamp, 0, 10) . " " . substr($STimeStamp, 11, 8); # Gate time is empty?? ?